An easy to read, practical, common-sense approach that will take you from ancient wisdom to contemporary thinking, You Can Win helps you dispel confusion in daily life and clarify values. The book helps you evaluate if you are going through life out of inspiration (playing to win) or desperation (playing not to lose). It translates positive thinking into attitude, ambition and action that brings in the winning edge. 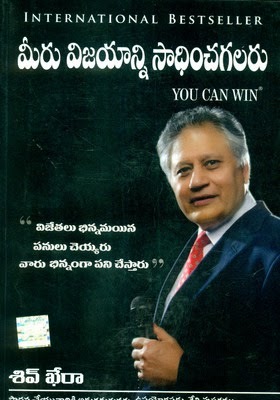 Shiv Khera - Founder of Qualified Learning Systems Inc., USA, he is an educator, business consultant, much sought-after speaker and successful entrepreneur.